So finally summer has come to London with 3 weekends in a row of lovely sunny weather, everyone is making the most of it as we don’t know how long it will last. 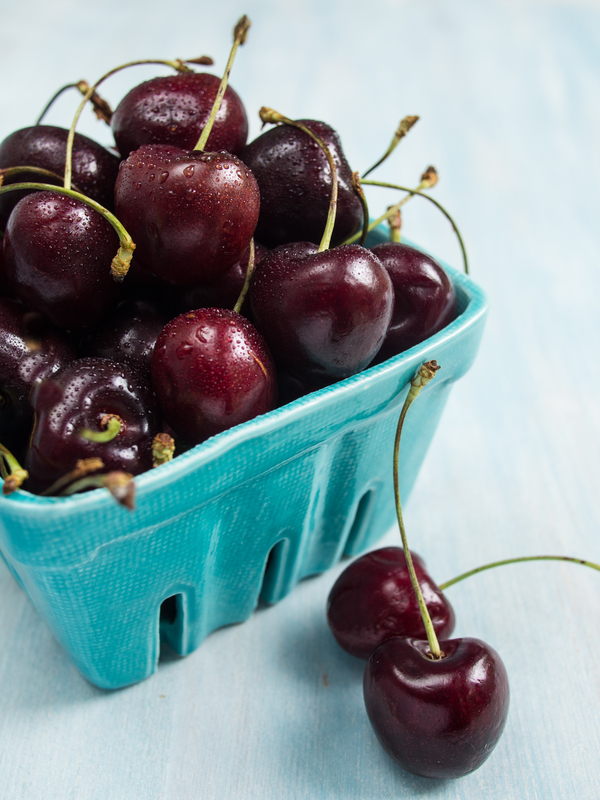 Cherries are one of my favourite summer fruits and my local food market has them in abundance at the moment. Big dark juicy Turkish cherries that I felt should be used for something other than munching on at work. 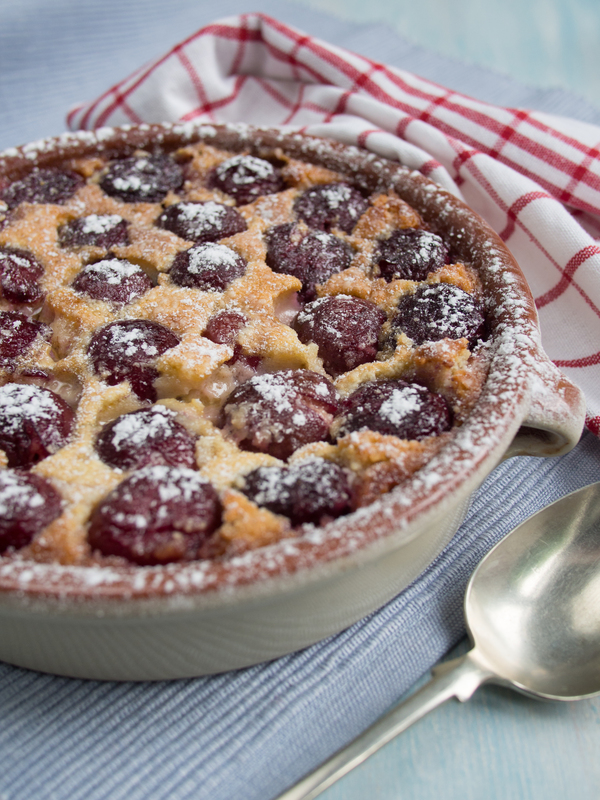 Having always wanted to make cherry clafoutis, now seemed like a good a time as any to try it. Using Nigel Slater’s recipe as a starting point, I wanted mine more at the egg custard end of the spectrum rather than pancake batter puddingy end so reduced the flour content. With the addition of ground almonds it gained an almost fruity bread and butter pudding quality which wasn’t unwelcome but I may try it without next time for comparison. Set the oven at 180C/gas mark 4. Lightly butter a 20cm diameter baking dish, then dust with a couple of tbsp of sugar. Arrange the cherries to cover the bottom of the dish. In a mixing bowl, weigh out the sugar and beat in 2 large eggs, followed by the flour, ground almonds, 150ml of milk and a drop or two of vanilla extract with a large balloon whisk. Melt the butter in a small pan, then stir into the mixture. Pour the batter over the cherries and bake for 35 minutes, until puffed and golden. Remove from the oven and dust with icing sugar. Serve warm with cream.